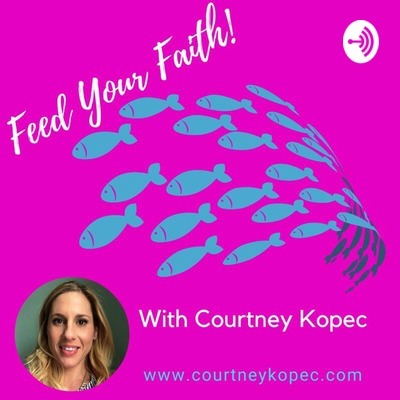 Welcome to Feed Your Faith, a podcast focused on letting go of dieting through a more intuitive approach to food using God’s grace and love as your guide so that you can finally be free from food obsession and body shame and live a life where you eat normally and enjoy your body. Episode 23: No more shame. No more guilt. No more frustration: How to eat "normally" with God as your guide. Ever feel overwhelmed by what to eat? Does anxiety and desperation attach itself to even the thought of food? In today's episode I share how to get calm, cool and relaxed around eating again in a way that will have you trusting God more and falling into old, negative patterns less. Every day we are bombarded with images and messages that our weight is our worth. The world tells us that how we eat signals whether we are a "good" or "bad" person. Whether we are someone who cares about our "health" or are too "lazy" to give a darn. Though we seek to be free from these lies and images and walk with God on a path towards healing, we struggle. We fail ourselves and in the process we lose our faith, our trust that God will heal our obsession with what we eat and how we look. In today's episode I focus on Romans 12:2, I teach how to not conform to the beauty standards of the world and ways you can go deeper in your trust with God surrounding your struggles so that you may experience more of His "good", "pleasing" and "perfect" will in your life. In order to heal and recover from food obsession and body shame, we must be in touch with our souls. It is with our soul that the Holy Spirit strengthens and renews us. In order to receive that strength, our focus has to shift from our outward appearance to the inward. Today, I share how to get your eyes off your belly and onto the bounty of your divine inner light so that you may receive the fullness that awaits you from the Holy Spirit that resides within you. Negative patterns and false beliefs about ourselves often have us making choices that tear us down rather then lift us up spiritually. These choices come from our flesh and are not driven from the light of the Spirit. They often are made in order to help us hide or feel accepted by the world. In the realm of God's holiness, they only keep us further from our growth. Romans reminds us that when we look to the Spirit we act in accordance with it. On today's episode, I share how to use a practical approach to staying in touch with the Spirit. I discuss how to recognize natural/human desires vs. spiritual ones surrounding food and weight and how to empower one's self with the ability to avoid sinful pitfalls that blindside. It was not until I finally started bringing God into every part of my life that I started to see real changes in how I felt about food and my body. But how did I do that? Today's show I share how I made God my BFF. I also give sure fire and simple tips for how you can get more God into your busy day. Plus, I give my testimony on how one weekend away with my hubby changed my whole perspective on how to view life from a larger body. People often get confused about what it really means to not diet. They think it means giving up on their bodies, not being active, no longer caring about health. They believe that dieting is the only way to stay on top of their eating, be healthier and refrain from bingeing. On today's episode, I set the record straight on what a diet free life-style really looks like. I get clear on how you can give up dieting and still be happy, healthy and free from food obsession. I also share how Jesus gives us the ability to release food's power over us through a non-diet approach to life and ways that you can take back control of positive food habits in a way that serves Christ and not the world. Today I share how I have handled the frustration of my recent weight gain, dealt with the struggles of negative self-talk and learned to keep God at the center of it all. I give tips on how to stay positive around your body, find peace in the midst of body shame and keep your thoughts away from dark and discouraging ones and more on grace-filled and harmonious ones. 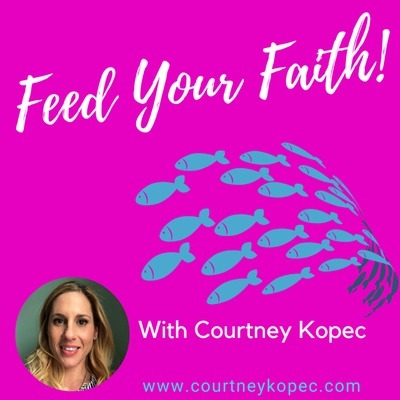 In this episode, I share my personal testimony as to how God used uncontrollable weight gain from meds to remind me of how obsessed I still was with my weight and body image and the way I worked myself back into food freedom through his grace and my faith. I also talk about how our obsession over our food and our weight is a reflection of our need for power and control in our lives. Through scripture, I share specific ways to pray our way towards healing from this sin as well as tips on how to get our energy off our bodies and back on to the kingdom of God so that we may experience more clarity around His covenant with us and thus our purpose. Stop wasting your life obsessing and start living your life confessing. Thanksgiving can bring many stressors. Between fear of calories to fear of family members we may see, anxiety and stress levels run high this time of year. In order to keep your holiday a God-centered one, free from binges, guilt, restriction and resentments, preparing your heart is paramount. In this episode I share strategies to keep stress levels low and reminders on focal points so that you can have a thanksgiving worth remembering. So often we do the sin we do not want to do even though we know it is not good. Part of this is because the sin has become a negative pattern in our life. From binges every three days to that daily stop at the gas station for a few candy bars, we participate in our patterns like clockwork. In order to break down our negative patterns, we must begin to create healthier ones. Part of that is by focusing on who we are in Christ, owning our worth through him and putting away the self doubt that draws us to poor food choices. In this episode I talk about how food obsession becomes our "kingdom" that we dwell in and rule over. I share ways to turn it back into God's kingdom of righteousness, peace and joy (Romans 14:17) so that we no longer feel the temptation to hold onto our own obsessive patterns, behaviors and fears but choose the Holy Spirit that lives inside us as our leader and caretaker. By understanding how to let go of the negative behaviors, we can then move forward and experience the peace and joy God has waiting for us. At your wits end with your weight and food obsession? Praying to be healed and feeling like you are getting nowhere? On today's podcast I share my personal strategies for how to take real power over your food in a way that glorifies God. I give my own testimony on how God worked a healing in me so that I no longer obsessed over what I ate and I tell you what needs to change in your own prayer-life so that you can experience healing faster. Dieting makes foods "off-limits." God says, "Eat anything...without raising questions of conscience." Today, I share how to move beyond binges by giving ourselves permission to eat foods we other wise fear. I explain how to use his grace and his mercy in a way that frees you rather then staying stuck in the same negative food patterns. 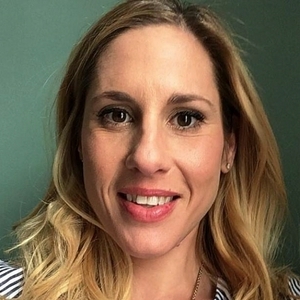 I give tips on how to step out of your food prison so that you can say bye-bye to binges for good and hello to enjoying all foods in a normal way again. It takes mercy to become free from food obsession and body shame. Understanding how God's mercy can free us is vital in our healing journey. Today, I talk about how to understand and utilize the power of mercy in order to end your food issues as well as how our spiritual gifts can be a tool in living the true life of peace and joy God has for us. Positive and healthy choices stem from a positive and healthy self-image which only God can provide. Learn how to take steps towards really loving and showing compassion to yourself so that you can be free from the food and body image obsession and live the life of abundance God has waiting for you. The book of Joshua is all about courage to cross the Jordan after being in the desert. Today I talk about finding our own deserts and getting out of being stuck as well as finding the courage to move forward, away from negative body and food drama so that we can have a land flowing with milk and honey. Recognizing the lies of dieting and the harm self judgement causes in healing poor eating patterns and how God can heal us when we start getting honest with ourselves. Learn the meaning of grace and acceptance in your life and how to utilize them so that you can have faster healing from food obsession, body hatred, shame and guilt around eating and more in order to start living the authentic life God has waiting for you now! Discover how to start each day off on the right foot by making a Godly choice so that you can get control of your food and find peace with your body while growing closer to God at the same time. How to stop living in such black and white around food and your body image and get more comfortable in the grey so that you can encounter God’s grace more and feel less anxious around where you are with your food and your body today. God is in the grey! In this episode I talk about Nehemiah and how God spoke to him about using food as a means of celebrating and giving to others rather then eating solely for nutrition. Discover how to enjoy your food again and stop obsessing over what to eat in order to find relaxation and peace around meal time and beyond! Today on the podcast I talk about “false stories”- stories we believe about food and our bodies that are not true and how we can work to stop believing them through God’s word in order to live the life-plan God truly has waiting for us, one where we truly accept His grace and receive His mercy through everyday blessings. Testimony of my diet life and what God says about not worrying about what we eat or drink.